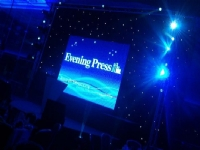 Porstar provide full LED display solutions for advertisement applications, including: indoor, outdoor, semi-outdoor. Modules can be two categories for Front Maintenance and Back Maintenance. * Indoor screen: Ranged P4, P5, P6, P7.62, P8, P10, P12. * Outdoor screen: Ranged P10, P12, P14, P16, P18, P20, P25. 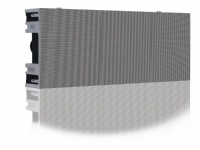 * Porstar advertisement led screen is rugged solutions that deliver high resolution full color images with superior brightness and contrast levels. * a series strict test, like waterproof test, dustproof test, vibration test, temperature and humidity simulation test, and aging test, ensure superior standard of reliability. * Outdoor screen with IP 65, excellent readability under direct sunlight. Indoor full color LED Display ScreenIndoor full color led display adopts SMD (Surface Mounted Device) or dot matrix technology. 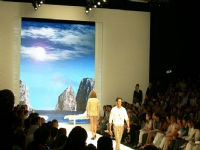 Indoor full color display is clearer than outdoor in terms of picture quality. The brightness of indoor panel is about 2000 nits. It has no need for indoor panel to use waterproof cabinets. Indoor panel includes wall mounted screen, single and tri-color screen. 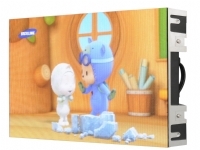 Full color indoor panel can be used to play video as advertising. Single and tri-color panel is usually used to show important information or notice, even weather forecast. Wall mounted indoor screen always adopts front maintenance method because it is impossible to open the cabinet from the back. P1.8mm full color Indoor LED Display screenIndoor screen can usually be seen in all kinds of stations as message board, on the stage as background wall and in football or basketball field as score sign or side screen. P2mm full color advertising LED Display screen1.Easy to maintain, High resolution, Good contract, Less Weight, easy to install. Widely used as the information billboard in Airport, Railway station, and big shopping mall, concert and ect. 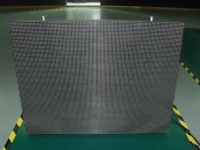 3.Indoor SMD LED signs include PH4mm, PH5mm, PH6mm, PH7.62mm, PH10mm and PH12mm. P6mm and P7.62mm are most popular pixel pitch. P3mm Indoor full color led display screen1.Easy to maintain, High resolution, Good contract, Less Weight, easy to install. Widely used as the information billboard in Airport, Railway station, and big shopping mall, concert and ect.